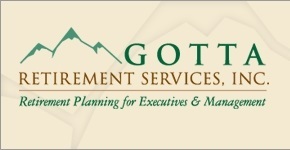 A Ready Resource | Gotta Retirement Services, Inc.
Brian can answer a variety of personal and financial questions you may have about retirement. He can counsel you about your personal goals, your portfolio’s investment mix, methods of tax reduction and tax deferral, and tools to help you manage risk and protect your loved ones. Preparing for retirement merely begins the relationship. As you investigate new opportunities and begin new adventures, Brian can assist you to position your wealth and income. Corporate executives regard him as a financial leader – a candid, honest authority on values, money and investing. He wants to guide you through the retirement process with care, preserve your nest egg, and open up income streams that allow you to maintain your desired lifestyle. Retirement has some parallels to a business venture: you need start-up capital (your accumulated retirement assets), and a long-range plan for stability and growth (careful management of your portfolio assets, risk management and income sources). 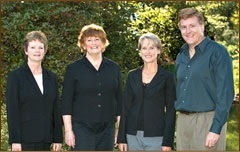 Brian can help you plan to make this venture emotionally and financially comfortable.